Chloe Dewe Mathews is a freelance photographer based in London. After graduating in Fine Art at the Ruskin in Oxford, she worked in the commercial film industry. Both inspired and frustrated she turned to photography, as a more immediate and intimate creative process. Working with different people in their natural environment, enabled her to engage with the world more directly. Since dedicating herself to photography, her subject matter has been diverse, from Uzbek gravediggers on the Caspian coast, to Hasidic Jews on holiday in Wales. In 2010 she hitchhiked from China back to Britain, which became a recce for a lifetime`s work ahead. Her work has been exhibited in London, Berlin, Buenos Aires and Toronto and published in magazines including The New York Times, the Saturday Telegraph, the Sunday Times, Huck, IL Italy, Dazed and Confused and Harpers Bazaar. Chloe has recently been awarded the BJP International Photography Award, the Julia Margaret Cameron New Talent Award and the Flash Forward Emerging Photographer’s Award by the Magenta Foundation. 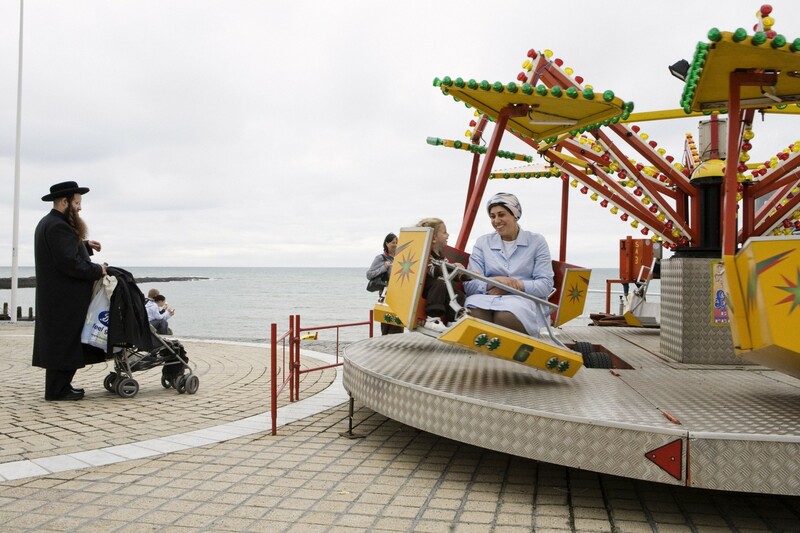 In 2011 she became the subject of a BBC Radio 4 documentary, “Picturing Britain”, which followed her long-term project on the banger racing sub-culture. In June 2011, she was signed to the photo agency Panos Pictures; then, in November, her series Caspian, including images from Naftalan, won the 2011 international photography award run by the British Journal of Photography.